Fit again and coming back to top form, Mario Götze is clearly one of the men Borussia Dortmund coach Peter Bosz is putting his faith in to lead the team this season. After struggling with a metabolic illness that sidelined him from February to July, Götze may still not be in peak condition, but the 2014 FIFA World Cup winnner has been putting up some impressive numbers in a Dortmund shirt already this season. The pocket-sized playmaker clocked up 8.3 kilometres in just over an hour against Hertha Berlin - the most of any of Bosz’s men at the time he left the Signal Iduna Park pitch on Matchday 2 - and had had a major influence on the game with 75 touches, the highest tally of any midfielder. Bosz seems determined to give him the chance to do that. While Shinji Kagawa and Mahmoud Dahoud are both fully fit and would be highly credible alternatives in central midfield, the former Ajax boss opts to use Götze. “It’s extremely important to have confidence, to feel good and be settled in the team and the club,” the former Bayern Munich man explained. He has found that in Dortmund, the club where he first made his name, but in a different role to that in which he shone so spectacularly as a teenager with Die Schwarzgelben before heading to Bavaria. In Bosz’s 4-3-3 formation, the ex-playmaker has found his niche in a slightly deeper role. 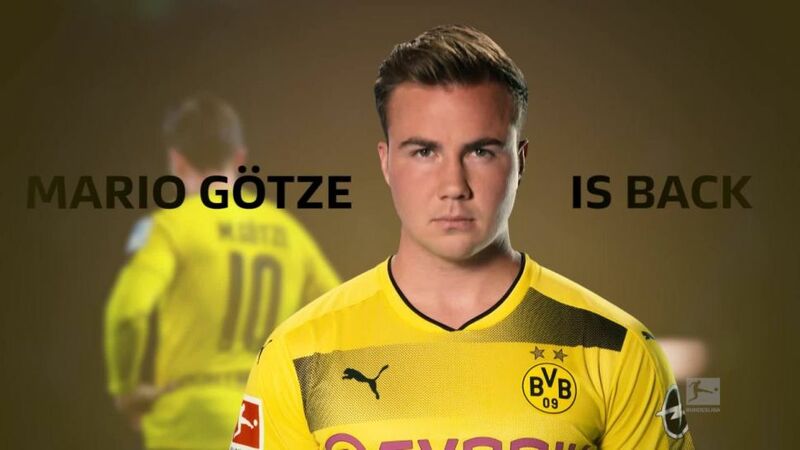 With Nuri Sahin, himself undergoing a renaissance, impervious in patrolling in front of the defence, Götze has excelled as a number eight, allying his innate creativity and ability to spot a final ball with the vision and passing ability to keep play ticking fluidly. It is a position that also requires industry, which Götze believes he will be able to supply still more of as his strength returns. Quiz: How well do you know Borussia Dortmund? Take the test! “I think from September I’ll be able to play the full 90 minutes,” said the 25-year-old, who — during the international break — will put into effect the work ethic that got him this far in order to go still further.